Is This Device More Important Than the iPhone? We already knew that AT&T (NYS: T) was going big with the new Nokia (NYS: NOK) Lumia 900 -- bigger than even with Apple's (NAS: AAPL) iPhone. Ma Bell's device chief, Jeff Bradley, recently told CNET that the device's launch would be "a notch above anything we've ever done," iPhone included. Thanks to a recent report from Ad Age, we have an idea on how many marketing dollars qualifies as the biggest launch ever -- $150 million. That amount is more marketing muster than AT&T threw behind the iPhone when it enjoyed nearly four years of exclusivity. Why does AT&T want to help Microsoft (NAS: MSFT) and Nokia regain mobile relevance so badly? As ironic as it sounds, it's the iPhone's fault. Ever since Verizon (NYS: VZ) got its red hands on the iPhone early last year and Sprint Nextel RSVPed to the iPhone party just a few months ago, AT&T doesn't feel so iSpecial anymore. Verizon has been adding smartphone subscribers faster than AT&T over the past year. comScore estimates that in January 2011, AT&T had about 24.7 million smartphone users, topping Verizon's 17.8 million, thanks to the iPhone advantage it had. Fast-forward 13 months to a time when the top three carriers all offer Apple's device and Big Red is quickly closing the gap, with 32.2 million smartphone subscribers compared with Ma Bell's 33.8 million. That means Verizon's smartphone subscriber base jumped 81% while AT&T's grew by just 37% over the same time. 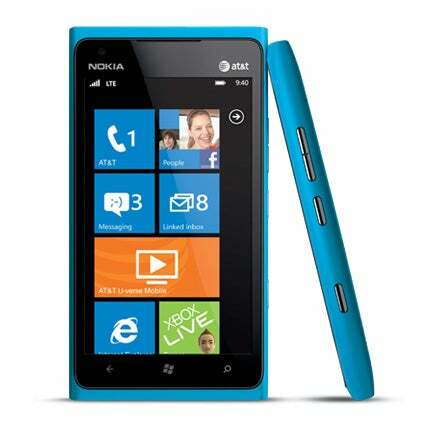 AT&T now has another exclusivity card in the Lumia 900, and it wants to play its hand strong. Verizon has already made big bets with Google Android, so AT&T is siding with Windows Phone and the Lumia 900 will be Ma Bell's new flagship phone that it'll be touting front and center. It'll be an uphill battle, considering Windows Phone's dismal market share, but if this bold marketing move works, it might pay off in spades. Too bad launching a device during the holiday weekend that included Easter Sunday, when many retail locations were closed, was a bit of a misstep. If you want to play the mobile revolution without picking sides, start from the inside with component suppliers. If you want to learn about three picks to bank on, access the Fool's research report detailing "3 Hidden Winners of the iPhone, iPad, and Android Revolution." At the time this article was published Fool contributorEvan Niuowns shares of AT&T, Verizon Communications, and Apple, but he holds no other position in any company mentioned. Check out hisholdings and a short bio. The Motley Fool owns shares of Apple, Microsoft, and Google.Motley Fool newsletter serviceshave recommended buying shares of Apple, Nokia, Microsoft, and Google and creating bull call spread positions in Microsoft and Apple. The Motley Fool has adisclosure policy. We Fools don't all hold the same opinions, but we all believe thatconsidering a diverse range of insightsmakes us better investors. Try any of our Foolish newsletter servicesfree for 30 days.